WASHINGTON — A privately funded space telescope originally proposed to search for larger near-Earth asteroids may also be effective in detecting smaller, but more numerous and potentially more dangerous, such objects. In a presentation at the International Academy of Astronautics’ Planetary Defense Conference in Frascati, Italy, on April 13, a B612 Foundation official said its proposed Sentinel space telescope could detect up to 80 percent of potentially hazardous near-Earth objects (NEOs) at least 40 meters in diameter within 10 years of launch. 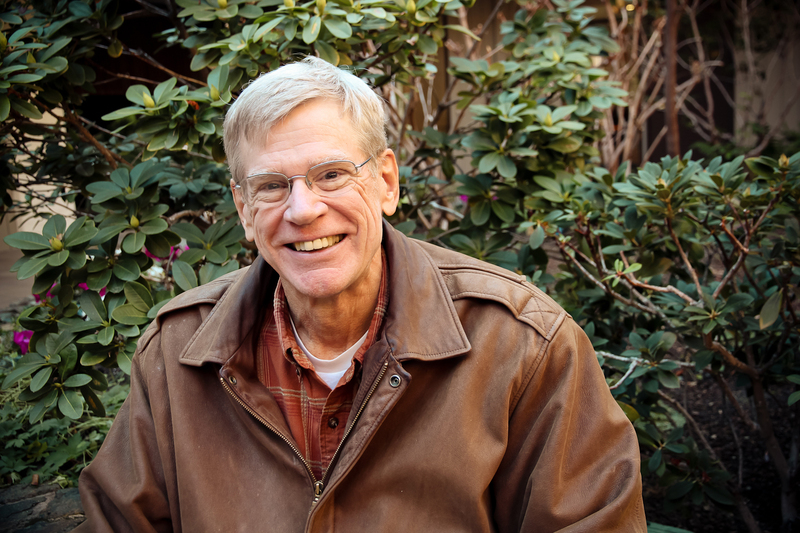 That detection rate, said mission director Harold Reitsema, is possible if Sentinel works in parallel with a ground-based telescope, the Large Synoptic Survey Telescope (LSST), now under construction. “It’s a number that I would not have thought was possible, and certainly would not be possible without both Sentinel and LSST,” he said. When the B612 Foundation announced plans to develop Sentinel in 2012, its focus was on NEOs 140 meters across or larger, which could cause damage on a regional scale should one impact Earth. A provision of the 2005 NASA Authorization Act set a goal of discovering 90 percent of such objects by 2020. However, the February 2013 explosion of an asteroid less than 20 meters across above Chelyabinsk, Russia, injuring more than 1,000 people, shifted astronomers’ attention toward smaller objects. 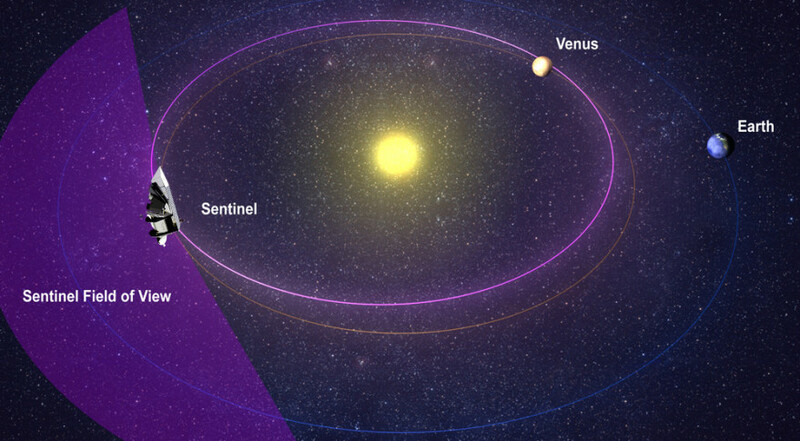 B612 modeled the performance of Sentinel in searches for smaller bodies, studying how well it worked both in the spacecraft’s planned orbit near Venus and alternative locations, including the Earth-sun L1 Lagrange point 1.5 million kilometers from Earth. Sentinel, in its baseline orbit, can find 81 percent of potential NEO impactors at least 40 meters across after 10 years of joint operations with LSST, and 46 percent of such objects at least 20 meters across. Sentinel’s performance increases slightly if the telescope is placed in an orbit somewhat closer to Earth, but Reitsema said that improvement in detection rate is outweighed by additional technical complexities of that orbit. “We have not found a compelling reason to argue that some other orbit, some other approach, would be better,” he said. In particular, he noted that operating at L1 would result in a much lower detection rate of objects in the 20-meter class, even when working together with LSST. “That’s because they’re both located near the Earth and they can see the same volume of space, and thus find the same subset of 20-meter objects,” he said. However, a team working on an alternative space telescope concept argues that L1 is the best location for its spacecraft. “L1 really is the right the choice for us,” said Amy Mainzer, principal investigator for the NEOCam mission concept at NASA’s Jet Propulsion Laboratory, in a conference presentation immediately after Reitsema’s talk. Mainzer said her team’s models concluded NEOCam’s detection rates in L1 would be slightly better than if it operated in a Sentinel-like orbit. Moreover, operating close to Earth improves communications and allows NEOCam to transmit complete images back to Earth for processing, rather than rely on onboard processing on the spacecraft itself. “There’s no advantage for going far away from the Earth and a lot of advantages to sticking close, at L1,” she said. An independent analysis of the concepts, carried out by the Science and Technology Policy Institute at the request of the White House Office of Science and Technology Policy and also presented at the conference, concluded that neither concept had a clear advantage over the other. Lal suggested it might be possible for NEOCam and Sentinel to work together, taking complementary approaches to search for NEOs. “One of the telescopes could focus on a 140-meter-and-above survey, and the other could focus on a 30-meter-to-50-meter survey,” she said. Neither NEOCam nor Sentinel is fully funded. Mainzer said she submitted NEOCam in the latest call for NASA Discovery mission proposals earlier this year, the third time the mission has competed for a Discovery award. NEOCam did receive funding from the Discovery program in 2010 to support development of its infrared detectors. Reitsema worked at Ball for 26 years before joining B612 in 2011.